Axis House understands its clients’ mineral processing requirements and addresses those needs with quality products, people and service. The company’s core business is to develop chemical formulations together with mining companies that are specific to individual operations. Axis House produces, stocks, delivers and finances a full range of mining reagents, with a focus on developing, optimising and implementing copper sulphide and oxide flotation reagents. With a strong logistics division, Axis House also allows for the direct supply of products from the factory or regional warehouses where stock is held. Axis House is continually looking at ways to assist its clients to reduce production costs and improve recoveries and grades. Research is carried out on client specific ore at the company’s metallurgical laboratory in Cape Town, where its new and existing technologies are applied to the ore. Successful improvements are presented to the client and test work is repeated on site. Resident metallurgists are present in each country and offer continuous support and optimisation for each and every client. The company’s management team has a strong export and logistics background, with extensive experience globally. Axis House’s practical experience has enabled it to understand the marketplace and offer its clients a complete service from reagent design through to metal production. Utilisation of regional hubs and storage depots affords clients reduced delivery times. From reagent design to metal production, Axis House support assists its client with their supply chain management, ensuring that a comfortable balance is reached between client stock holding and cash flow. The forward stock plan for each client is communicated directly to ensure confidentiality. From purchase order origination to final delivery, clients are informed daily on the whereabouts of their cargo by means of tracking. The tracking includes full details of transporters, vehicle registration numbers and despatch dates. The AM series is a range of patented liquid hydroxamate technologies proven to be selective towards base metal oxide minerals in flotation. They are used successfully in both bulk and differential flotation processes. The Rinkalore series is a collection of formulated fatty acid collectors for the selective flotation of REO and Industrial Minerals. Axis House also has a proprietary range of ready-to-dose liquid sulphide collectors, each targeting specific ore types and sulphide minerals, promoting metal selectivity and recovery. The company’s frother products are tailored and non-hazardous, as well as being ore specific to endorse concentrate selectivity and reject gangue. The Revadep range is a unique collection of depressants / dispersants that target specific groups of gangue material. They are effective in depressing carbon, talc, silica, and dispersing of clays. The Brontë range of thickener flocculants covers a wide range of molecular weights and ionic charges. Optimum product parameters are identified through a series of test work. 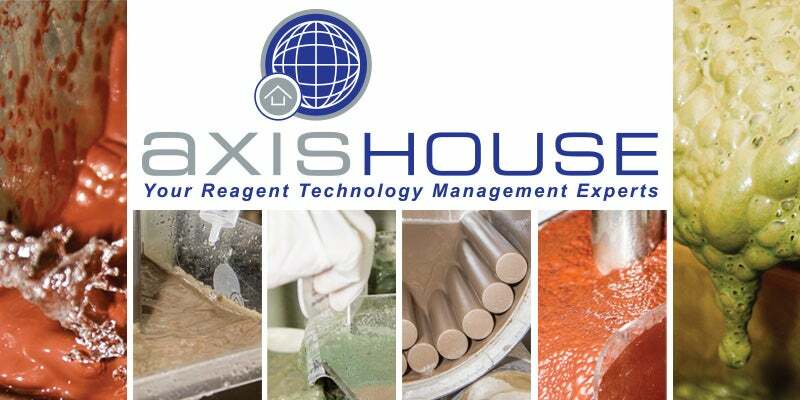 The Axis House formulated smoothing agent allows for higher quality cathode production at higher current densities. The company also supplies an exclusive grade of magnesium oxide used in Cobalt precipitation. This magnesium oxide is used to produce high-quality cobalt hydroxide with minimum loss of metal. Axis House was established in 2001 and is a global supplier of reagents and technical services to the mining industry. The company employs experienced chemists, geologists, metallurgists and process engineers. This diversely skilled team adds value along the entire production process chain. Axis House’s regional metallurgical laboratories are fully equipped with milling, flotation, sedimentation, leaching, precipitation and analytical equipment. It is in these laboratories that molecules are modelled and developed. The company has South African branches in Cape Town, Johannesburg and Durban, as well as international infrastructure including representation in Melbourne, Sydney, Chingola, Kolwezi, Lubumbashi, Lima, Santiago, Monterrey and Moscow. Axis House are leading Reagent Technology Management experts offering cutting-edge mineral processing solutions. Many copper sulphide mines around the world have significant copper oxide ore reserves associated with the larger primary copper sulphide deposit. The traditional techniques for processing oxide ores, either by leaching - SX/EW or flotation have caused many problems for these operations. Our HydroFroth™ range of high-performance, non-hazardous frothers target optimal froth conditions, with specially formulated blends to maximise your concentrate grade and recovery. Axis House (Pty) Ltd the forerunner in Reagent Solution Technology is one of this year’s main sponsors at the SAIMM Copper Cobalt Africa - 9th Base Metals Conference 2018.